Travel to India is no way different from food travel for a foodie. Be you in north, south, west, or, east, Indian cuisine is as varied as the world geography. This time our pick from the South Indian food map is Mysore as Dussehra festival is around the corner. Dussehra in Mysore is a grand royal celebration which fetches tourists from across the world. If you are traveling to India to celebrate Dussehra in Mysore, you would love to bookmark and share our article on traditional Indian food to eat in Mysore. Indian Eagle shares with you some useful South India food travel tips, too. 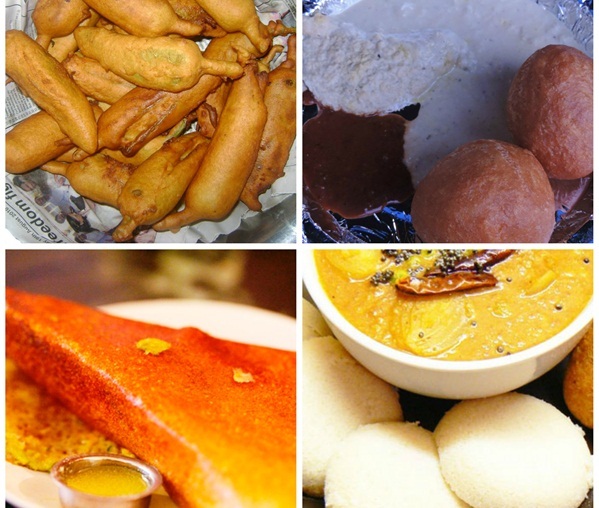 Dosa, Idli and Vada are the ruling snacks in the cuisine of Mysore. Though Dosa, Idli and Vada top the breakfast menu at restaurants in Mysore, the city is busy preparing and serving these items all the day. You will find 10 different varieties of dosa in Mysore, but Masala dosa is one of the yummiest and most popular Indian foods. 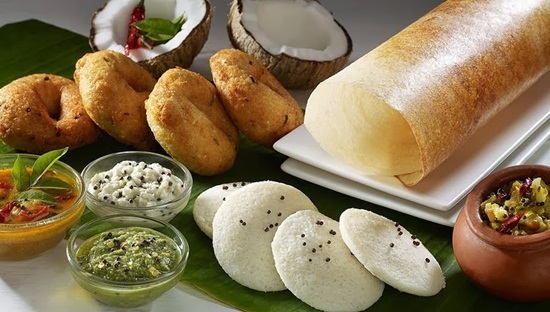 Dosa, Idli and Vada are traditionally served with sambhar and coconut chutney. Don’t deprive your taste buds of different idli varieties – Rava idli, Thatte idli and Maligae idli. Mysore Bonda and Mysore Bajji are unique to the South Indian food culture. Bonda is crispy outside and soft inside. Having a plate of smoking hot Mysore bonda is a sinful indulgence for the foodie like you. Varieties of Mysore Bajji are as many as dosa varieties. Potato bajji, Onion bajji, Chilli bajji, Bread bajji, Applam bajji – the list goes on! It is as important to know what to eat at the lunch time as to know where to eat in Mysore. The typical Mysore lunch will give you a taste of traditional South Indian food. Most of the restaurants across the city serve food on banana leaves. The lunch menu starts with cereal salad Kosambri. It is followed by Huli, a dense broth of boiled vegetables and lentils, spiced with chilli powder and tamarid juice. Huli is both tangy and sour in taste. Gojju is another traditional vegetable curry. Palyas, rasam, papad, pickle and curd are some of the other items on the Mysore lunch menu. Pickle, papad and curd are the essential add-ons, served in lunch and dinner meals. Coconut, tamarind and chilli are common ingredients in the South Indian cooking of dishes in Mysore. Your affair with Indian food in Mysore will remain an incomplete story without a mouthful of Mysore sweets. Mysore Pak is one of the most popular sweets in the South Indian cuisine. Part and parcel of traditional Indian food culture in South India, this sweet delicacy is made of gram flour, pure ghee and sugar. It is so soft that it melts the moment it comes in touch with the tongue. If you crave a sweeter experience of food travel in Mysore, make sure to try Chiroti, a kind of pastry made of flour, smeared with sugar powder and dipped in almond milk. The list of Mysore sweets will go on until Holige is mentioned. 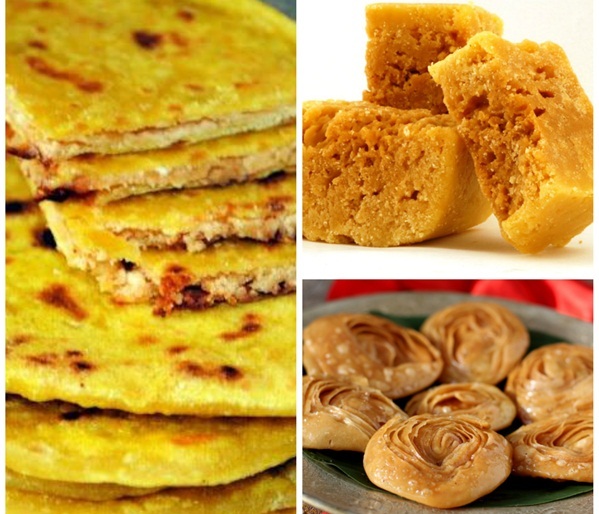 Holige is wafer-thin, flat, fired bread stuffed with jaggery and dried coconut gratings. If these sweets fail to satisfy your sweet tooth, Rave Unde and Shavige Payasa will surely give a twist to your taste buds. In addition to sharing food travel tips with the foodie, Indian Eagle offers cheap airline tickets to India. It is never late to book your travel at Indian Eagle as we offer last minute travel deals too.